It was while sitting on a park bench in Christchurch, on the South Island of New Zealand, that a young Colin Stafford-Johnson had the realisation that would go on to inform the rest of his career as a hugely successful wildlife and nature filmmaker. As he looked around, it dawned on him that the carefully manicured lawns, nearby trees and river looked restful and green but behind it all was a lie - everything he could see was fake. "Everything from the fish in the river, to the birds in the trees, to the trees themselves and right down to the grass on the ground - none of it was native to New Zealand. All of it had been imported from elsewhere and it made me aware of just how much we as creatures have changed the world," he says. "My next realisation was that if I didn't get out there and see it, it might not be there for me to see anymore." Born and brought up in Cabinteely in Dublin, where his parents ran a garden centre, Stafford-Johnson more than realised that ambition, with his work taking him around the world. He's filmed jaguars in the Amazon, birds of paradise in New Guinea and tigers in India. There he explored the plight of that country's tiger population, which is rapidly declining, and produced a BBC documentary titled A Tiger Called Broken Tail, which featured a mother tiger, Maccli, and her son, who was christened Broken Tail by Stafford-Johnson and his crew. In recent years, however, it's his work documenting the natural environment in Ireland that has brought him to attention at home. 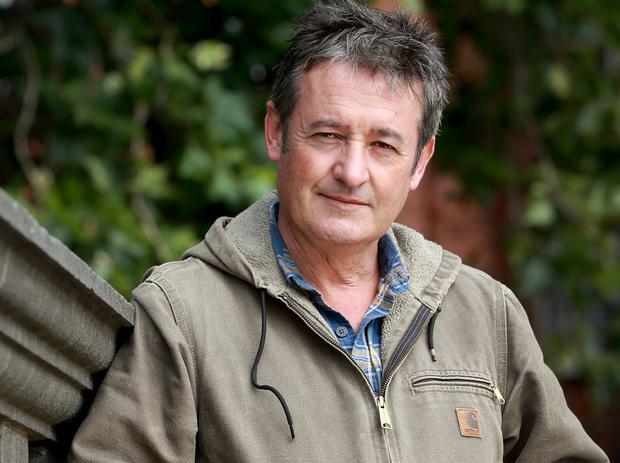 His TV work has included Secret Life of the Shannon, Wild Ireland: Edge of the World, Living the Wildlife, and most recently Wild Ireland, which has received two Emmy nominations in the US. His work won him an Emmy in 2006 for cinematography on the film Mississippi - Tales of the Last River Rat for the Discovery Channel. He has also won the Grand Teton award at Jackson Hole Wildlife Film Festival on two occasions for his films Broken Tail and Ireland's Wild River. The latter was also awarded the international wildlife film and TV industry's highest accolade - the WWF Golden Panda award at Wildscreen. This love of nature started when he was a small child, where he was able to see a side of Ireland that he soon realised was fast disappearing. "We were always a very outdoorsy family. My father, Barney Johnson, was the first TV gardener on RTÉ, and Cabinteely was a wonderful place to grow up with my five brothers and sisters in the 1970s. At the time it was a village on the edge of Dublin. We grew up surrounded by farms - something that is hard to imagine now," he says. "We had a very free childhood and were allowed to wander as much as we liked. My mum had a gong she bashed at mealtimes and it would ring out over the fields - if you didn't hear it and make it back in time, you missed your dinner." One evening the family were surprised with the news that Barney Johnson had bought a little cottage near the Devil's Glen in County Wicklow, near a large area of woodland. Stafford-Johnson was around nine years of age at the time, and the next few years were spent exploring this new bolthole. "My brothers and I used to get up at the crack of dawn to record the birdsong. Every spring was spent finding birds' nests and recording where we'd found them. We made our own entertainment - there was nothing to do if you didn't do that. This is long before the days of iPhones and Xboxes, and I wasn't a sporty kid," he says. "I did a lot of wandering and there was no problem with that. That's something that's missing from so many kids' lives today. For example, when I was 13 I used to take the bus down to Ballymoney in Wexford and spend a week camping and fishing on the beach on my own. These days you'd be shocked if you heard of a kid that age doing that, but that was normal enough at the time." After he left school Stafford-Johnson's wanderlust kicked in, and he spent a few years backpacking around the world, visiting the places he'd always wanted to go to and seeing the animals he'd always wanted to see in person. "I wandered a bit to places like Australia, New Zealand, New Guinea, Central America, South Africa, always to see specific animals. I got a real sense that the world was changing. I walked across New Guinea when I was around 21 and it was a pristine place with an untouched rain forest. It felt like the Garden of Eden," he says. "I came back to Ireland and looked around with fresh eyes. I used to think it looked wild and natural, but actually every inch of it has been impacted by human beings. And with that comes a responsibility to look after the place - we've taken that responsibility away from nature by the degree to which we've changed things. That's what's inspired me to make programmes here, the idea that we can improve things if we appreciate what we've got and look after it." Like many naturalists, Stafford-Johnson is a huge David Attenborough fan, crediting his TV work in the 1970s and '80s as what inspired him to enter the field himself. "I'd loved programmes like Life on Earth in the 1970s, I was blown away by them. I did a year in an unrelated course in Maynooth but left because I was sitting in a pub and an Attenborough documentary called Living Planet came on the TV. I just thought, 'What am I doing here?' I need to be out there," he says. This led to him travelling extensively and eventually doing a degree in biological imaging in the University of Darby. The faculty was linked to the BBC's natural history unit, and the day after he left college, he got a job with a wildlife cameraman in Wales. Today he travels extensively and juggles family life with his four children - Sylvie, Annabelle, Finnian and Oliver - with his commitments abroad. Stafford-Johnson's eyes light up when he talks about animals - it's obvious he has a dream job. However, he says that the realities of the work can be far from a dream. "People often say 'I'd love to do your job', but then when you actually tell them what's involved they realise they wouldn't. It can be hard because the viewer is spoiled. They're used to seeing amazing super high definition 4K footage of incredibly rare and hard-to-capture animals acting as if they're not being filmed. Getting that footage takes a long time. People often don't understand that in this game your time isn't your own. You miss out on a lot in life because you're up a mountain or in a forest waiting for something to happen. If you get invited to a party in a month's time, the reality is that you just don't know if you can go. Unless it's something important involving my kids, then when the call comes I have to be able to go." On occasion, however, it's worth staying a little longer. "It's hard being away from family at holidays but sometimes you have to trust your gut. I was in India filming a female tiger and was due to go home, when I had a sense something was going to happen but I wasn't sure what. She became restless and started moving about more and roaring into the distance. It was Christmas and I cancelled my trip home, and on Christmas Day I was rewarded when her roars were answered and a male tiger appeared. They mated in front of me and I got the kind of footage that is priceless." Stafford-Johnson flew in from the US the day before our meeting in a Dublin hotel. This month, he'll be touring Ireland and Britain in with a show about his 30-year career as a wildlife cinematographer. Before that, though, he was off again, this time to film Arctic foxes in Iceland. He will arrive on a Sunday and has 10 days to finish up the sequence he's working on. This will involve spending long hours in the wilderness of Northern Iceland. "We're filming a series called First Year on Earth for the BBC, following young animals around the world through their first year of life. We've just finished up sea otters in California and now it's on to the Arctic foxes, following a cub that has left its den and is on the move. It'll be tricky but I've been there twice already and know the location well," he says. "I'm hoping the cub has moved towards the seashore, because it was living in a boulder-strewn den 1,000 feet up a mountain the last time we were there, and that meant a rough daily climb with 30kg backpacks and all our gear. There are eight cubs but only one of them is white, so we'll be there at dawn to try to find them and get our footage." Because these foxes aren't hunted, they're quite approachable and Stafford-Johnson doesn't anticipate too many problems. "The hard part is finding them. They can move pretty quickly and can lead you on a dance for hours on end trying to get the right shot. You have to be able to almost predict what their instincts are," he says. "It's not easy. There are many other jobs in the world - but I wouldn't do anything else for all the money in the world." Colin Stafford-Johnson's 'Living a Wild Life Tour' will be at the Mermaid Arts Centre, Bray, on September 27 and The Axis, Ballymun, on September 28. Tickets cost €18.